Senate leaders have reached a bipartisan budget agreement to increase military and domestic spending levels for two-years, paving the way for a the first long-term spending pact since President Trump took office. According to congressional sources briefed on the deal, the plan eliminates mandatory spending cuts for two years, and increases Pentagon spending by $80 billion, and domestic spending by $63 billion for the 2018 fiscal year. 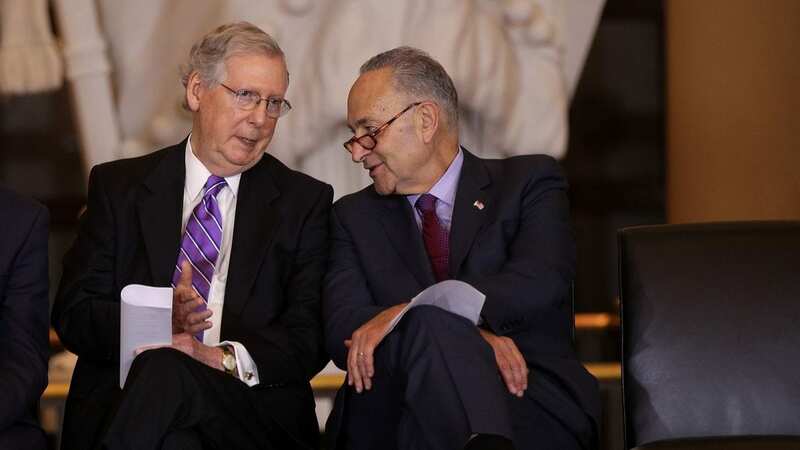 The agreement, negotiated by Senate Majority Leader Mitch McConnell and Senate Minority Leader Chuck Schumer, marks a major breakthrough for a Congress still reeling from a partial government shutdown last month. “No one would suggest it’s perfect but we worked hard to find common ground,” said McConnell, as he announced the agreement on the Senate floor. The next challenge will be for McConnell and Schumer to convince a majority of House members to back the same proposal before a Thursday night deadline to avoid another shutdown. House Democrats, led by Minority Leader Nancy Pelosi, D-Calif., are staging a protest on the House floor Wednesday in protest of the budget deal because there has been no progress on an immigration deal.